Norland Branwell 2 Log Cabin: The Norland Branwell 2 Log Cabin is similar to the classic Branson style design with a footprint of 2.8m x 4.8m. The building is simply ideal for placing in either corner of teh garden as the porch can be mirrored to either side during assembly. This log cabin uses 44mm wall logs with double glazed glass and so is idea as an extension to your living space for example as a garden office, or hobby room as well as creating an attractive feature in the garden. The building includes the decked area in front of the door, the deck boards are pressure treated for ultimate durability. The cabin can be built as shown in the image or in reverse so that the door would then be on the right hand side of the front wall. 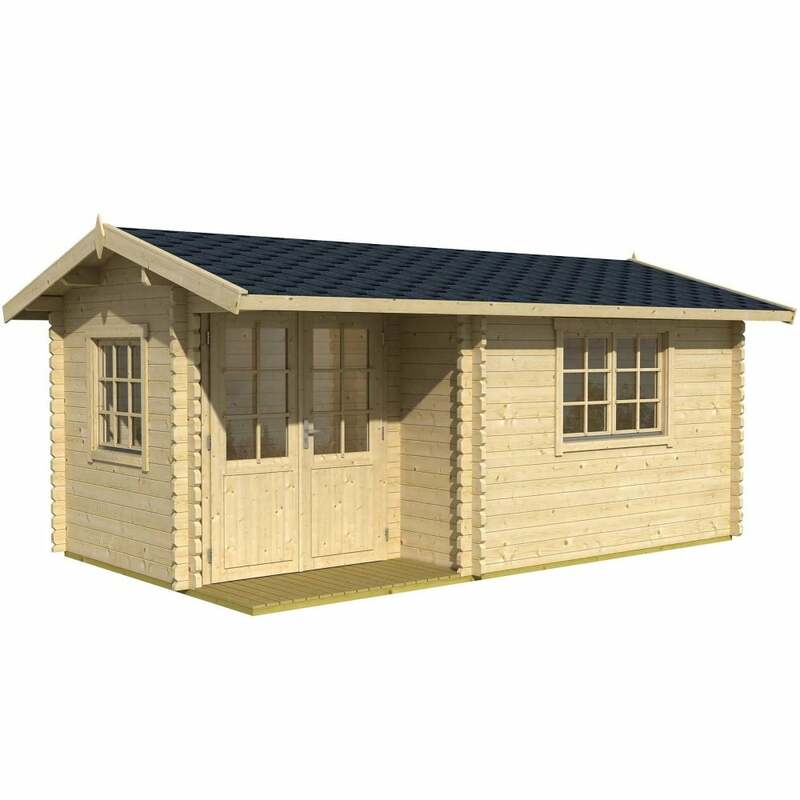 The Norland Branwell 2 Log Cabins are easy to assemble and are an extremely sturdy structure as they are built in the traditional Log Cabin style and therefore uses no screws or nails in the wall construction. The Norland range also feature chalet corner jointing to give that extra timber jointing for extremely good weather resistance.